This Downhilling Mountain Bike ride video made a very good impression on me. This video clip is terrifying and is the most viewed Downhill video on YouTube with a whopping 2,191,963 views to its credit. Alejandro Paz is from Peru. 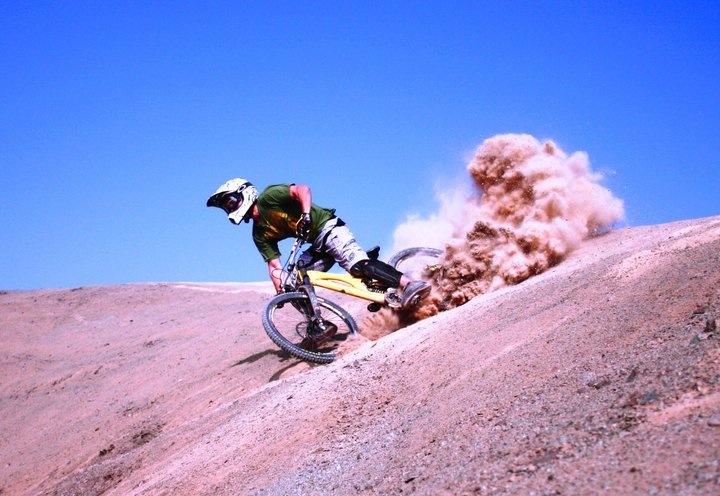 He is the National Downhill Champion of his country. This video clip was made by Alejandro himself. It shows Alejandro fleeting on a boulder-strewn footpath along a mountainside heading for disaster. But Alejandro rides on at high speed despite the rugged coarse terrain with varied sizes of stones and boulders strewn in the narrow path due to a recent landslide.